Video evidence of your injury may be the smoking gun that wins your case. However, just because a video recording exists of your lawsuit-worthy incident doesn't necessarily mean that you'll always have access to it for your case. Video recordings can be taken by cell phones, police dashcams, and even private businesses' security cameras. But you'll likely need legal help in order to get access to them. After you've been injured, you will want to contact a personal injury attorney to discuss your legal options. He or she will likely inform you that, depending on the location of your injury, there may or may not be evidence of wrongdoing caught on tape. Police dashcams. Especially if you're suing over injuries due to police brutality, a police dashcam video can be the silver bullet that blows jurors' minds. Cell phone videos. When an altercation or injury happens in a public space, chances are that someone may have snapped a quick video of it on his or her smartphone. This is what happened recently with a man who was placed in a "chokehold" by NYPD officers and later died. Security cameras. 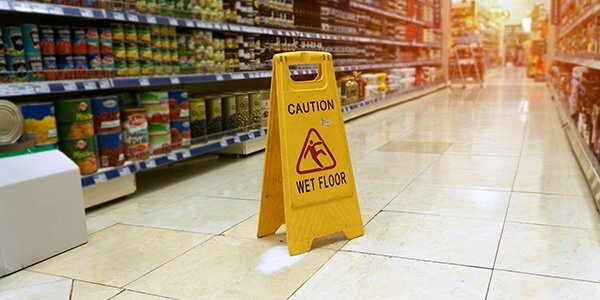 Businesses may use hidden cameras to record employees and customers and these cameras may catch relevant parts of your injury -- albeit without sound. The same is true of home security or "nanny" cams. Your attorney can help you investigate which of these video sources may be available to you. The next step is to legally get your paws on the video evidence. Injured? Exercise your legal rights. Get in touch with a knowledgeable personal injury attorney in your area today. Simply ask. If a private party wishes to hand over video to you, he can. Sometimes businesses are more than willing to help victims with footage, especially if you are a customer. Use a subpoena. If the video owner refuses to hand over the video, you may need to subpoena it. This allows you to use the power of the civil court to force the owner to hand over any video relevant to your case. Submit forms/fees. Obtaining police dash cam footage may require additional paperwork and fees. Collecting video for your injury case may take some work, but it can potentially pay off for you in the end. If you have more questions, you'll want to speak with your personal injury attorney as soon as possible.